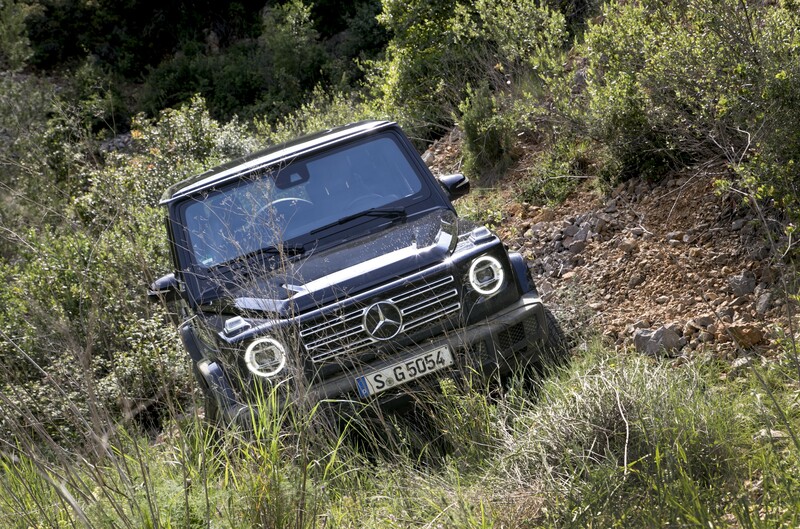 Sometimes, to help tame the beast you must first sharpen its claws. 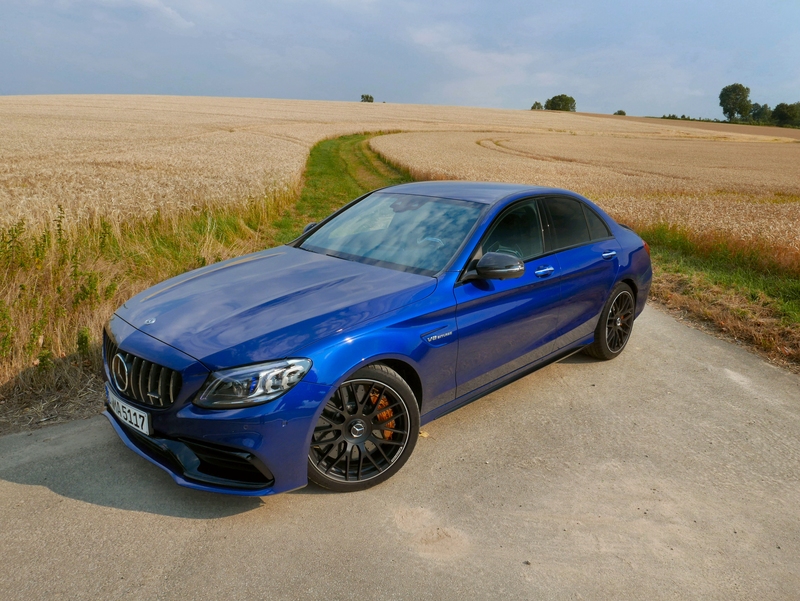 So it goes with the 2019 Mercedes-AMG C63 and C63 S, a full-fledged family of monsters wrapped in a golden fleece that does little to mask the sheer brutality of their twin-turbo output. 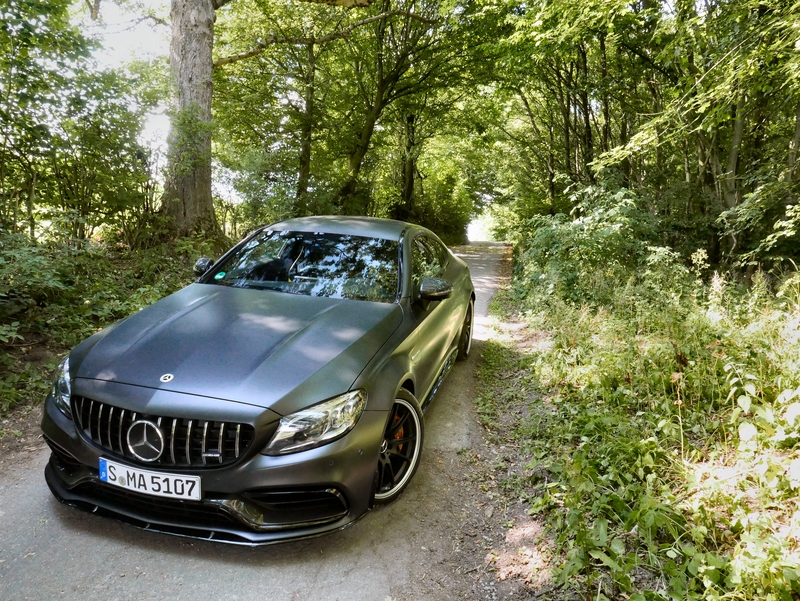 Rather than dial back any aspect of the C63’s formidable character, AMG has instead elected to digitally parse its power by way of a host of high-tech helpers that secure its purchase on terra firma more effectively than in the previous model. 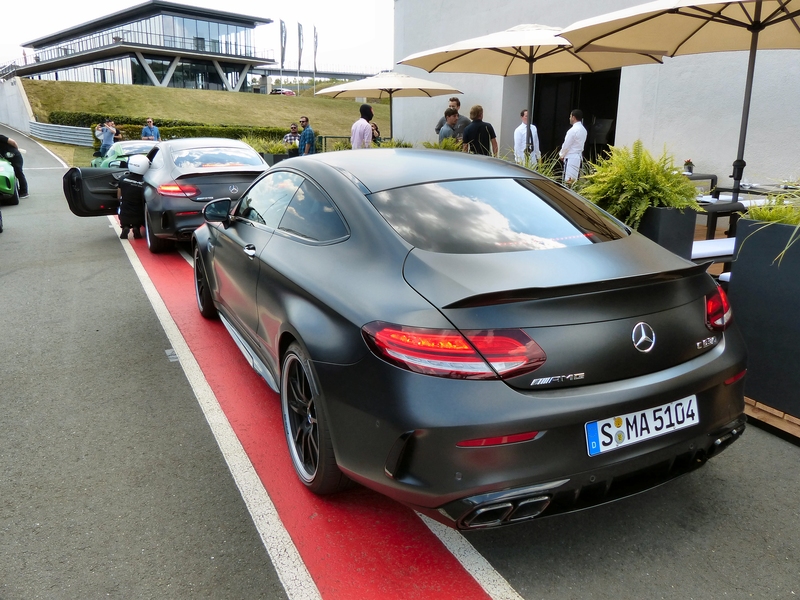 Eager to take another crack at Bilster Berg after having previously sampled it in the svelter AMG GT R, I was also curious to see how the enhancements made to the C63’s already-extensive road course-conquering kit would handle this type of exacting test. 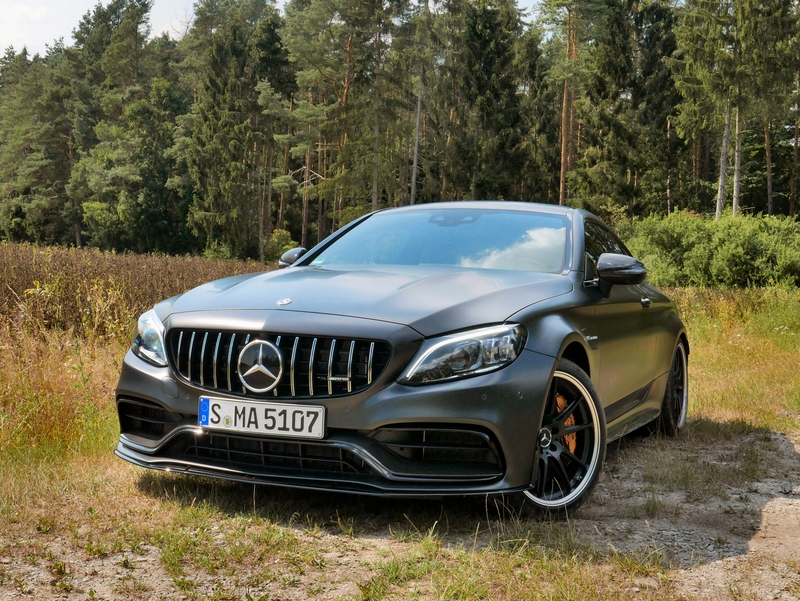 Known for emphasizing sheer muscle over outright finesse, the Mercedes-AMG C63 remains an interesting mix of a throwback (V8 engine, rear-wheel drive, raucous dynamics) and progressive (twin-turbos, advanced driving mode electronics) elements. 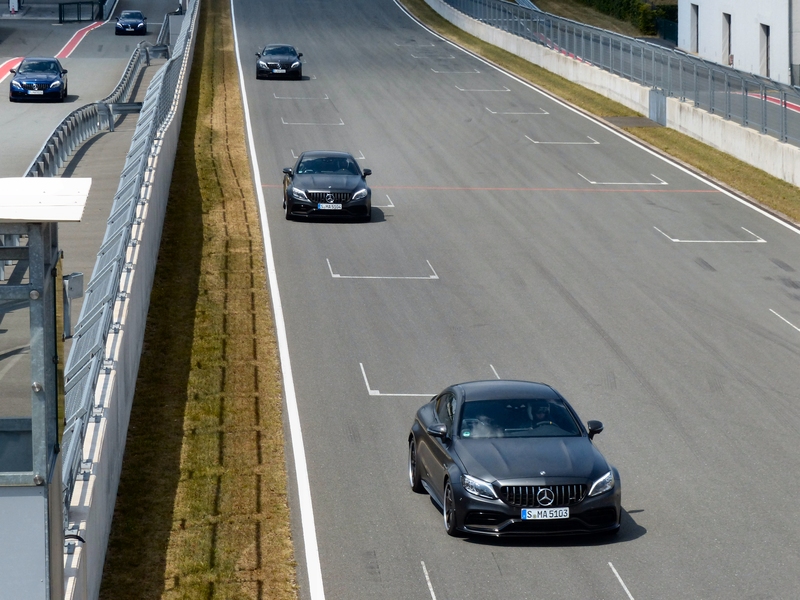 What changes for 2019 is a renewed focus on assisting the driver in harnessing the full potential of the car’s explosive drivetrain. 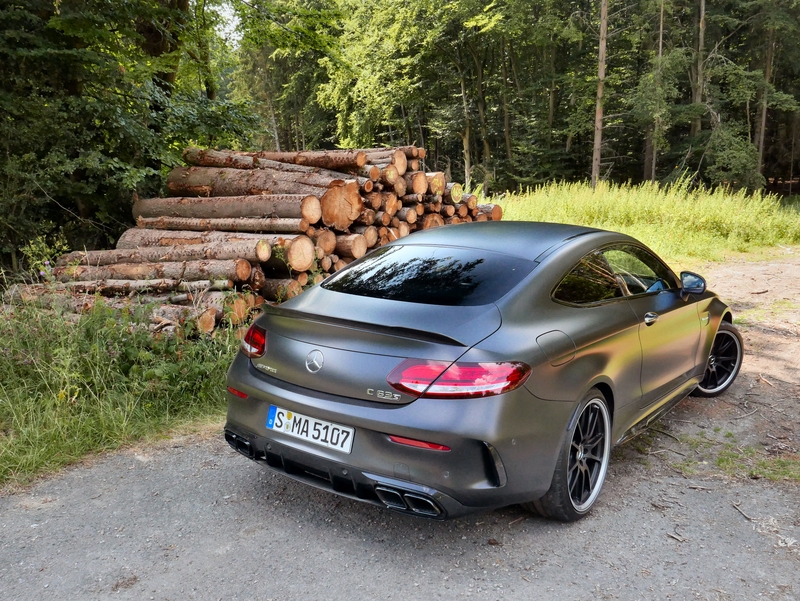 With a choice of either 469 horsepower (base) or 503 horsepower (S) editions, and featuring up to 516 lb-ft of torque at a modest 2,000 rpm, you can bet that AMG’s engineering team had its hands full trying to build a corral out of ones and zeros. 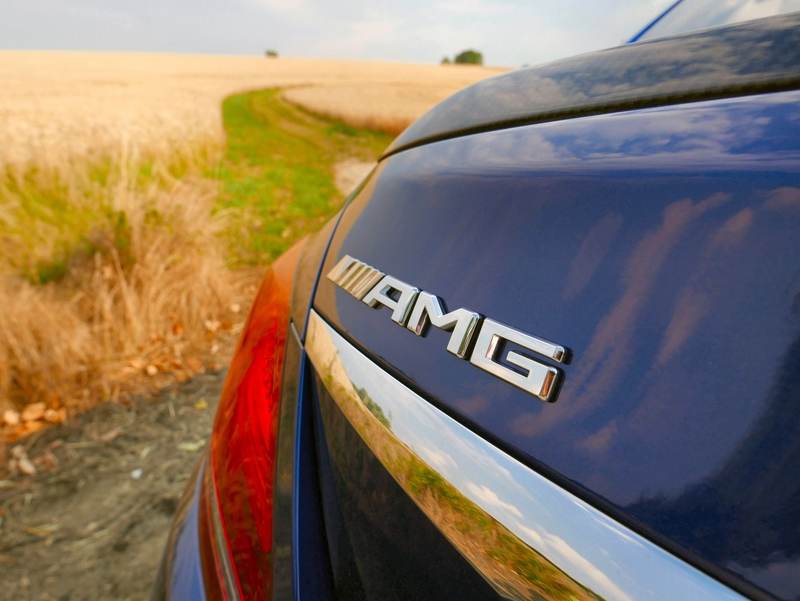 The two most intriguing elements from a performance perspective are the AMG Dynamics system and the revised AMG Traction Control program. 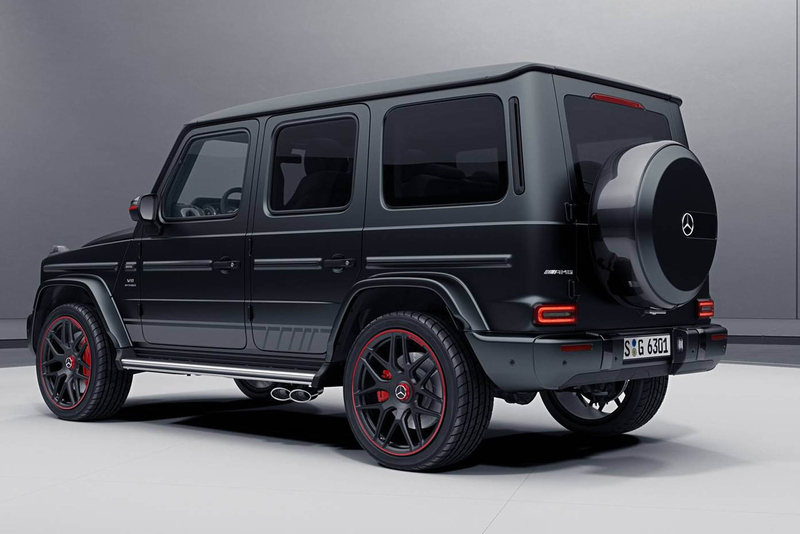 The former is available across the entire line-up and is linked to the vehicle’s various driving modes (Slippery, Comfort, Sport, Sport+, and for the C63 S, Race). 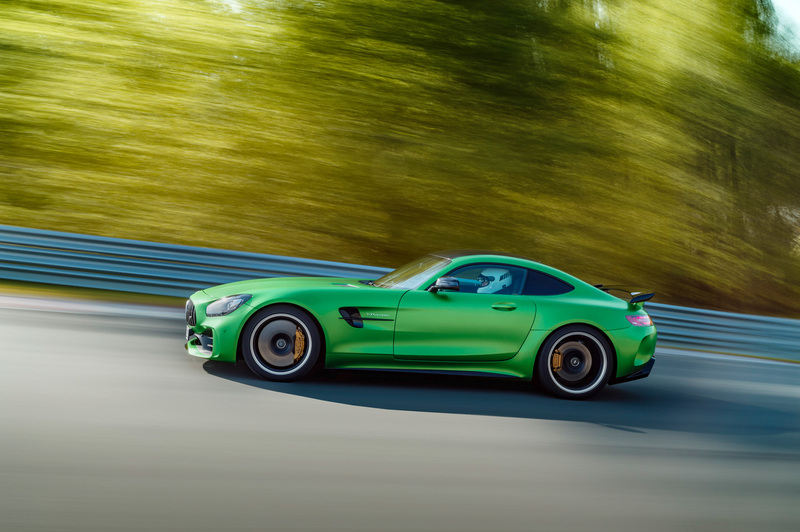 In an unusual about-face, AMG Dynamics harnesses the sensors feeding the vehicle’s electronic stability control program to predict driver behavior rather than react to situations as they occur in real-time, in a bid to remain transparent to the pilot. 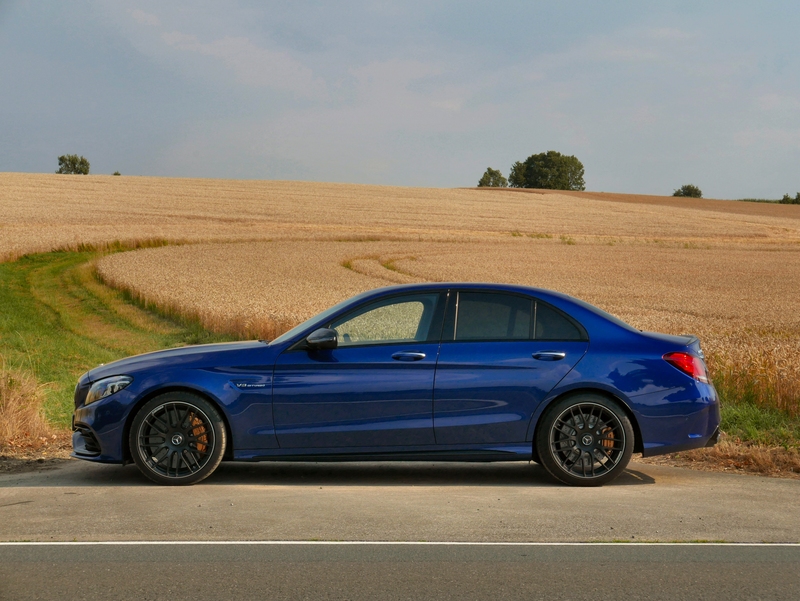 The system itself has three settings in the C63 – Basic, Advanced, Pro – and one more in the C63 S (Master, which is attached to Race mode), each allowing for increasingly wider limits on yaw and steering angle. 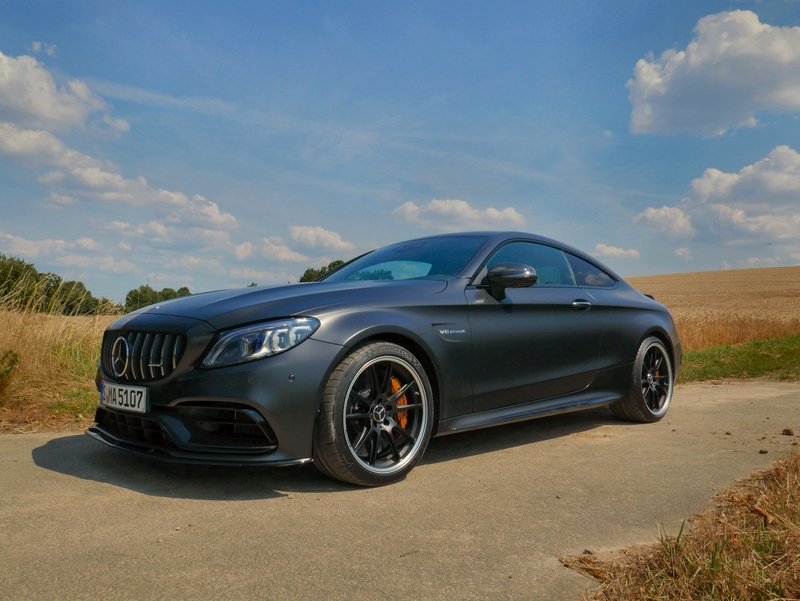 The AMG Traction Control systems – S only – is less of a black box, providing a dial on the steering wheel that allows for more or less intervention from this specific nanny, according to the driver’s desire. 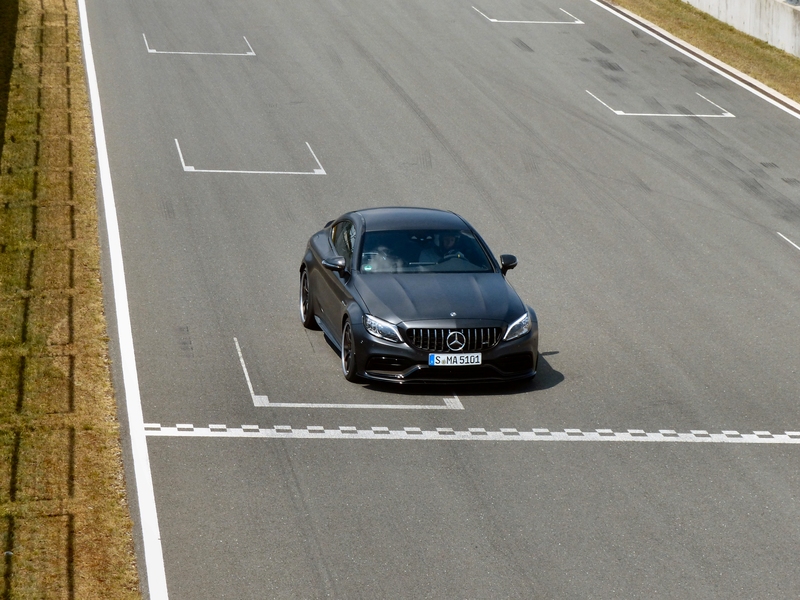 There are nine gradients of TC in total, ranging from slip-and-slide to full-on opposite-lock shenanigans. 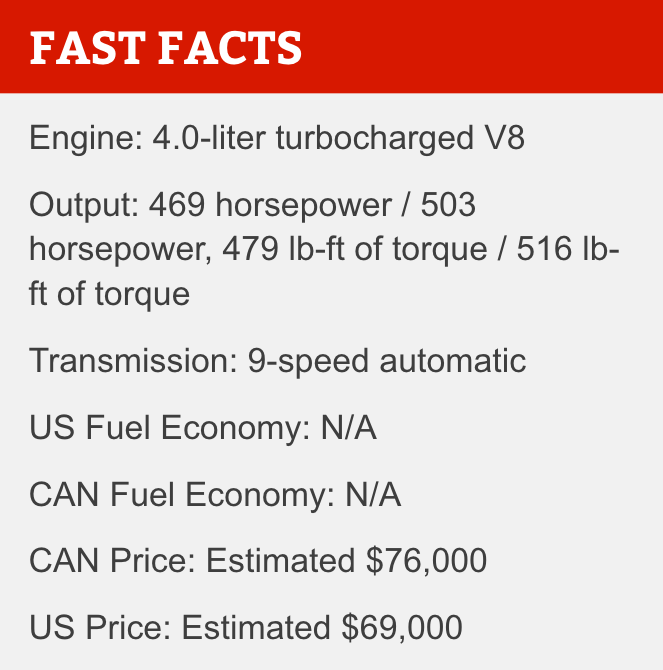 How well does this electronic wizardry work? 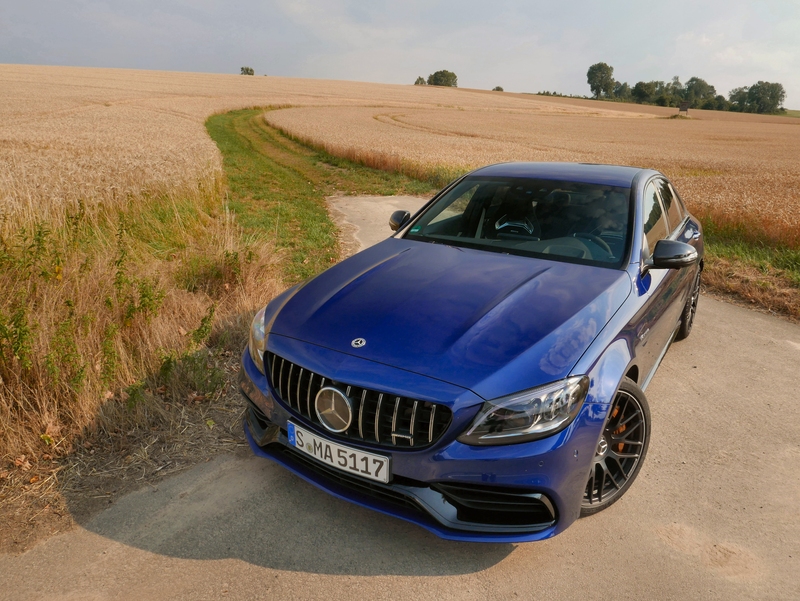 On the street, I found it impossible to trip up the Mercedes-AMG C63 S, even when deliberately attempting to break traction or slide the car’s posterior through abrupt steering and throttle inputs. 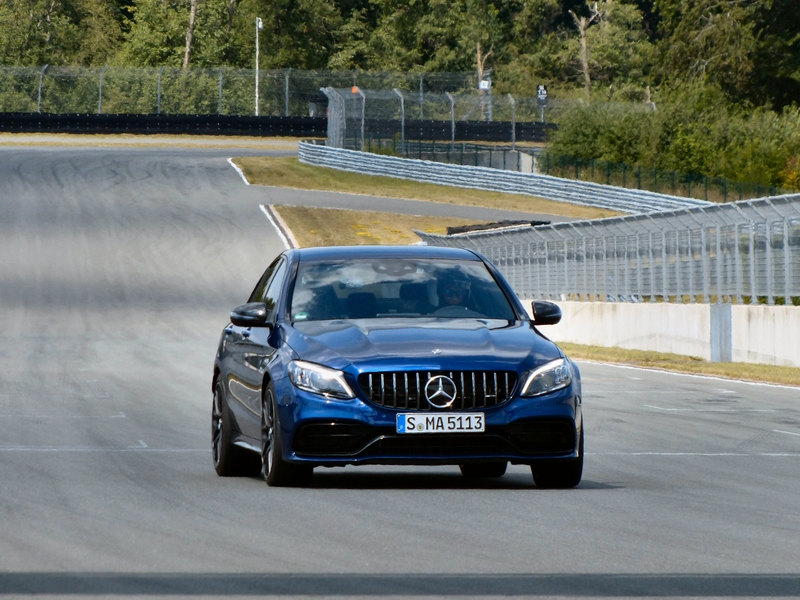 On the track, however, there were several instances in Sport and Sport+ modes where AMG Dynamics appeared somewhat befuddled by Bilster Berg’s sinuous trajectory, even going so far as to trigger the car’s emergency response system (flashers on, AC off, throttle impeded) after significant g-load entering the high-speed back straight from the circuit’s downhill esses. 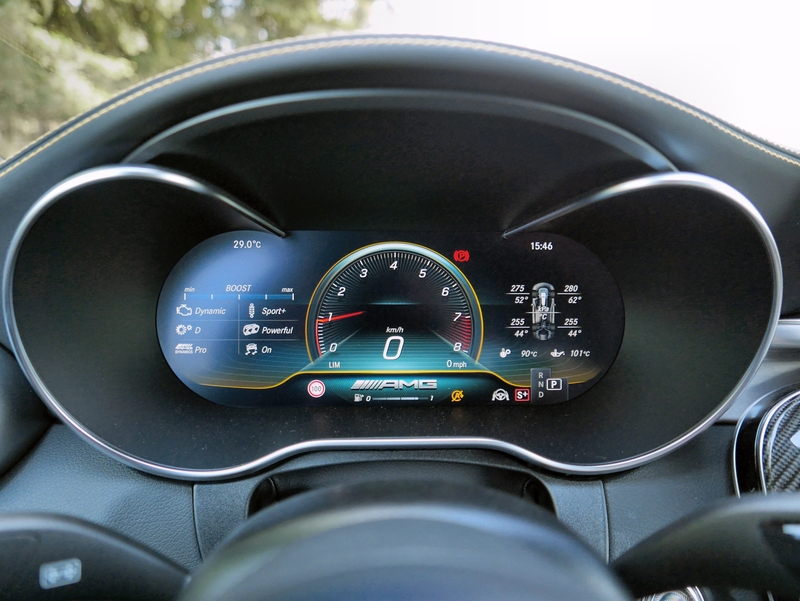 Still, in Race mode, I found the ability to dial in more or less traction control to be quite effective at tailoring the tail-happiness of the car to my own personal comfort level. 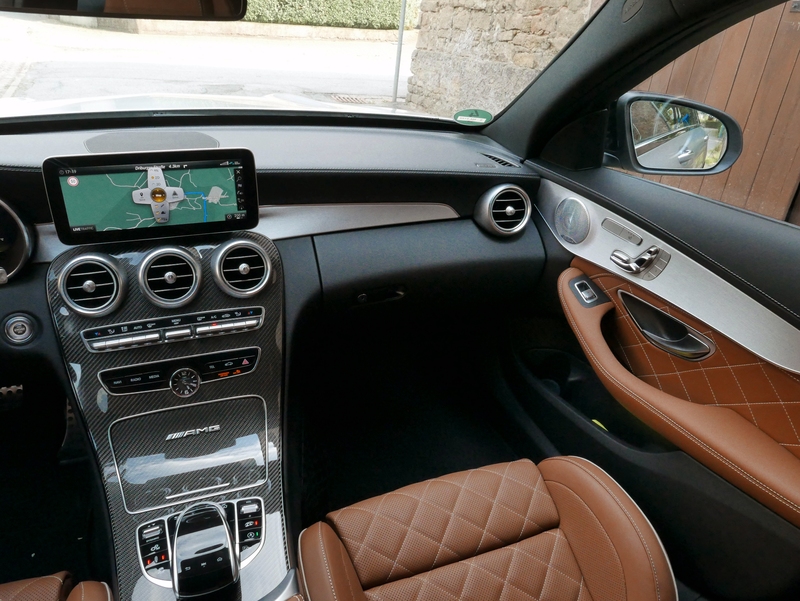 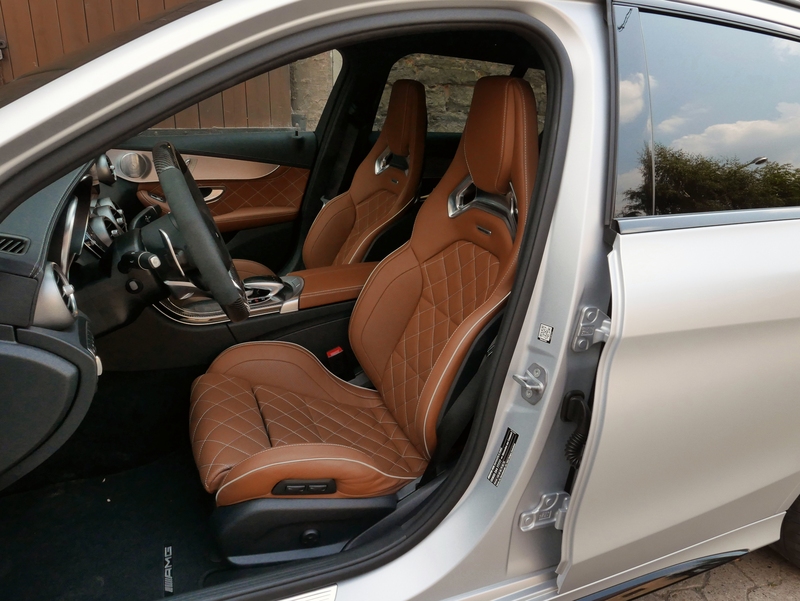 It’s a system that compares favorably to the almost-identical setup found in the Mercedes-AMG GT sports car, which is saying a lot considering the ample price gap between the models. 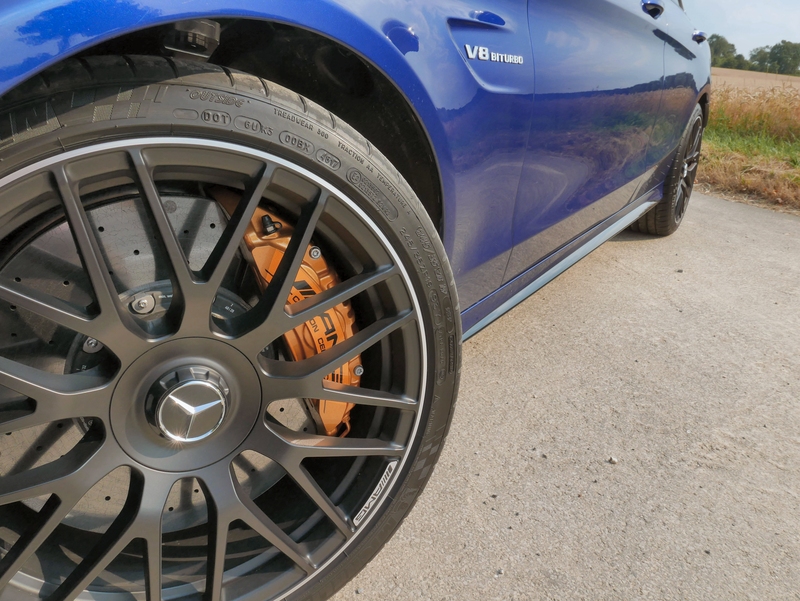 Although the C63’s new computer code plays a major role in shaping its personality, it has also received a number of mechanical upgrades, including a new electronically-controlled limited-slip rear differential, and access to Mercedes-Benz’s 9-speed automatic gearbox. 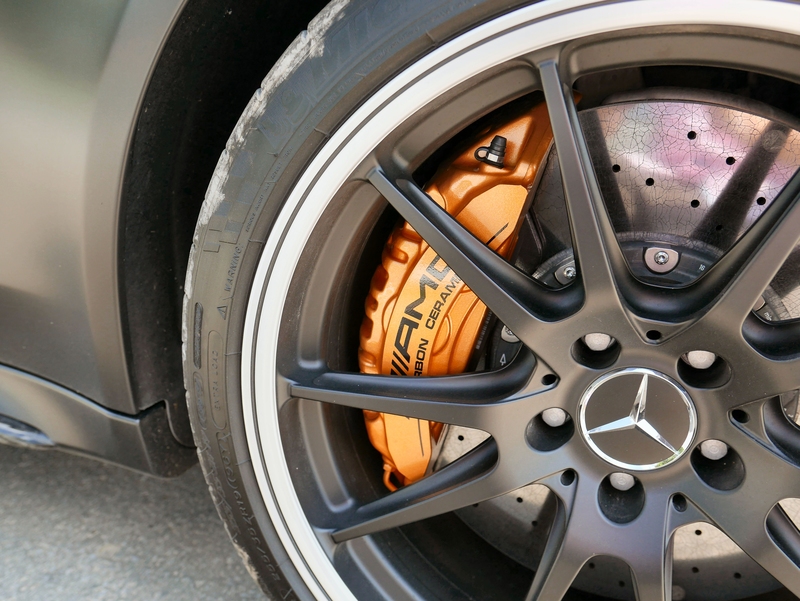 With a wet clutch replacing the torque converter, AMG claims that the unit is quicker off of the line – and a 3.9-second sprint to 60-mph for the S certainly concurs. 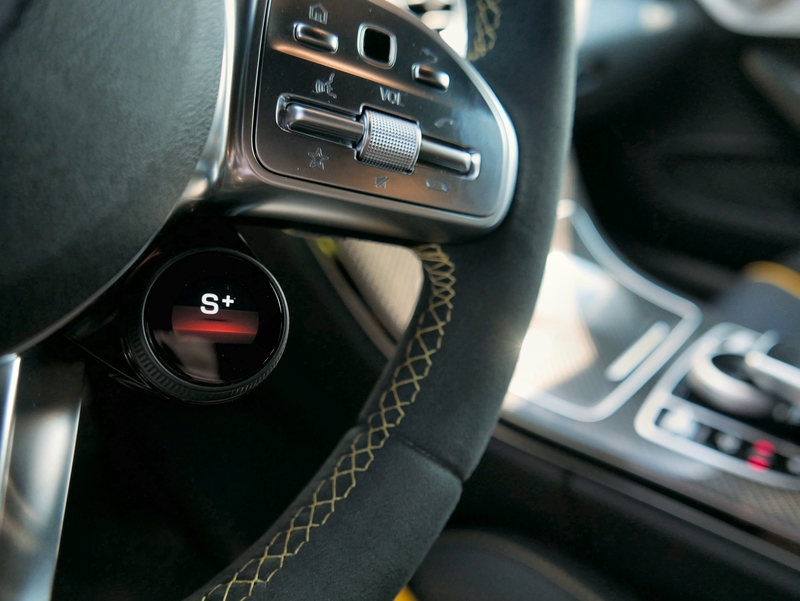 The transmission’s ‘skip-shift’ capability also allows the car to ‘burst’ forward by jumping from top gear immediately to, say, third. 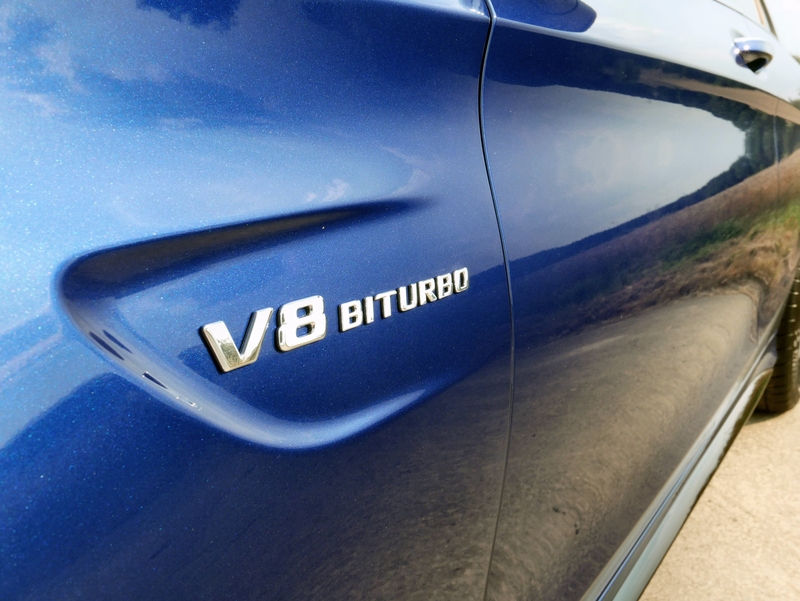 This can make for startling surges in speed, but it’s also occasionally difficult to modulate in normal driving, particularly with the throttle twitched-up in Sport+ mode. 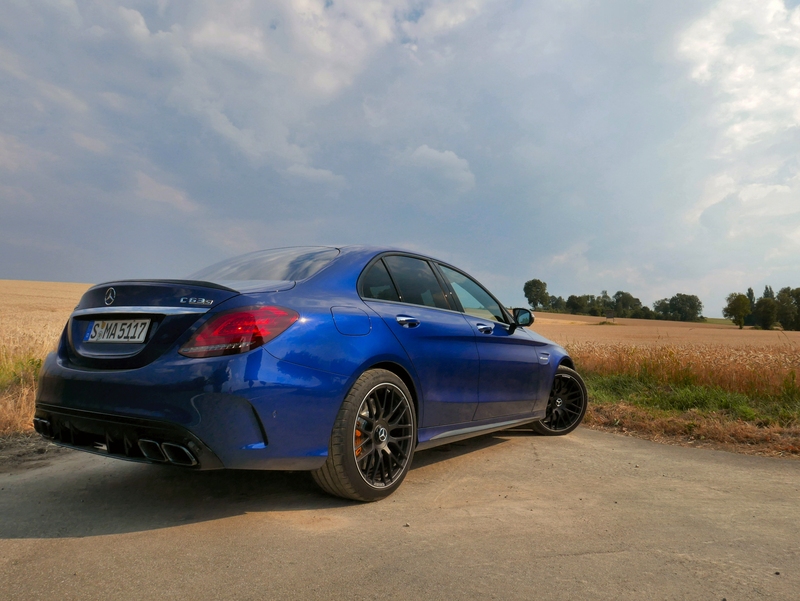 An adaptive suspension system and a splendiferous exhaust note continue to be part of the C63’s list of standard features. 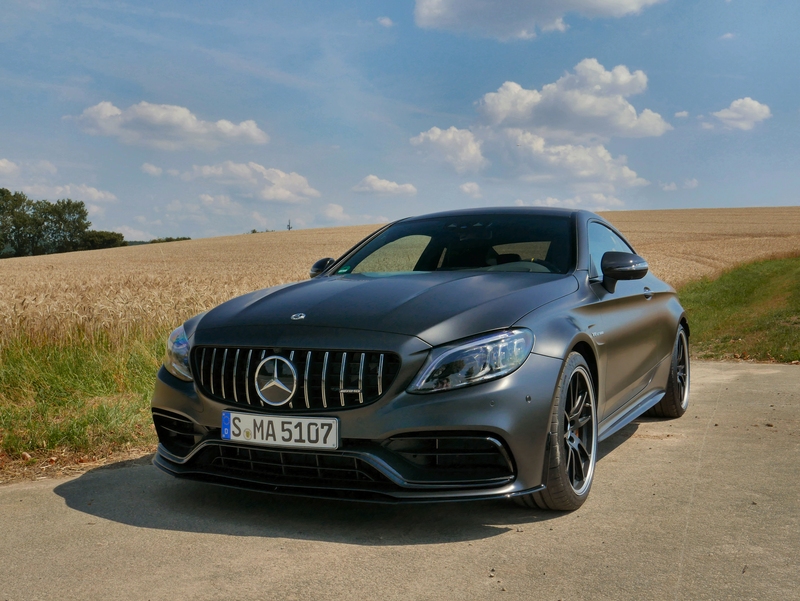 Available in coupe, sedan, cabriolet, and (everywhere but North America) wagon body styles, the refreshed and re-styled 2019 Mercedes-AMG C63 and C63 S continue to warm the hearts of hooligans with deep pockets and an unlimited tire budget. 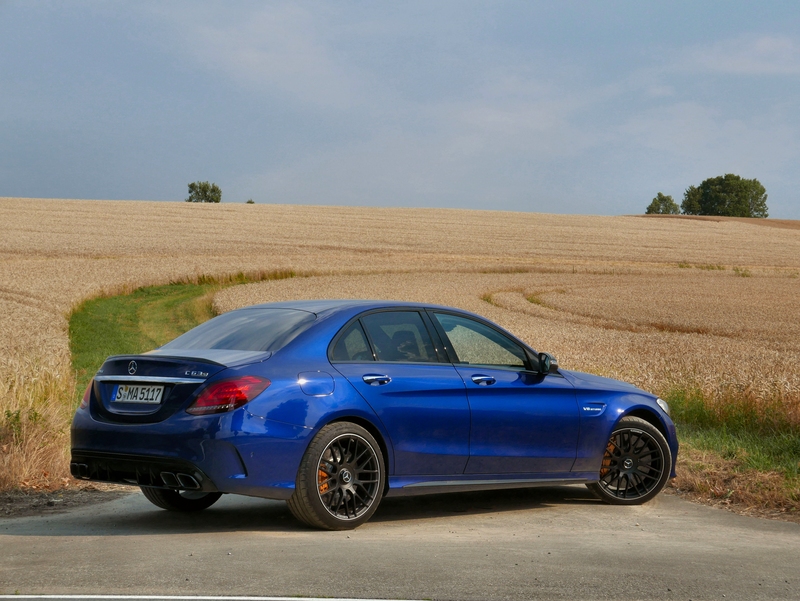 Easy on the eyes, and featuring an interior that is several steps above that of the more staid BMW M3/M4, the C63 is easy to drive on a daily basis providing you don’t mind the additional fuel stops required by its mega-motor (and can afford a predicted price tag in the neighborhood of just under $70k). 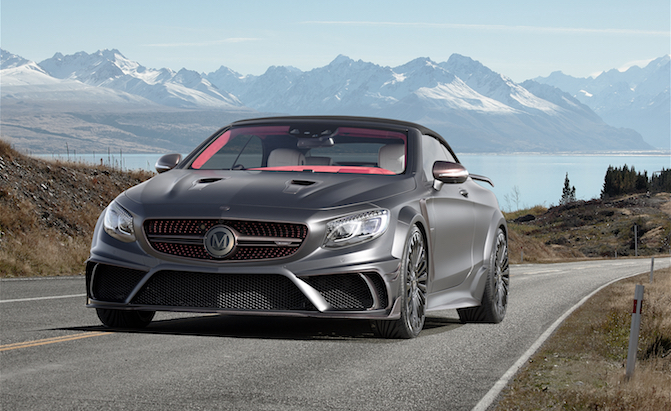 As a straight-line brawler, there’s nothing in its class – including the quicker, but less boisterous Audi RS5 – that can match the sound und fury of its all-out acceleration. 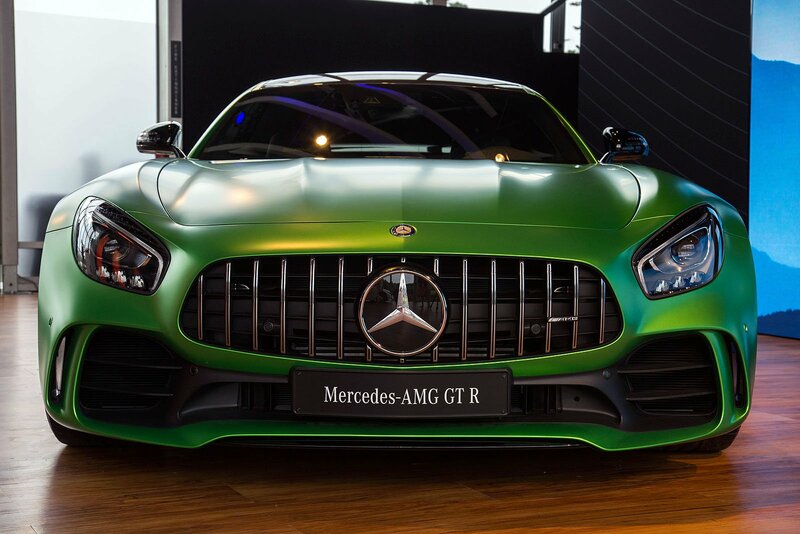 As a track toy, its weight and the sheer level of electronic separation from the driving experience make it more of a fantastic plaything than a serious racer. 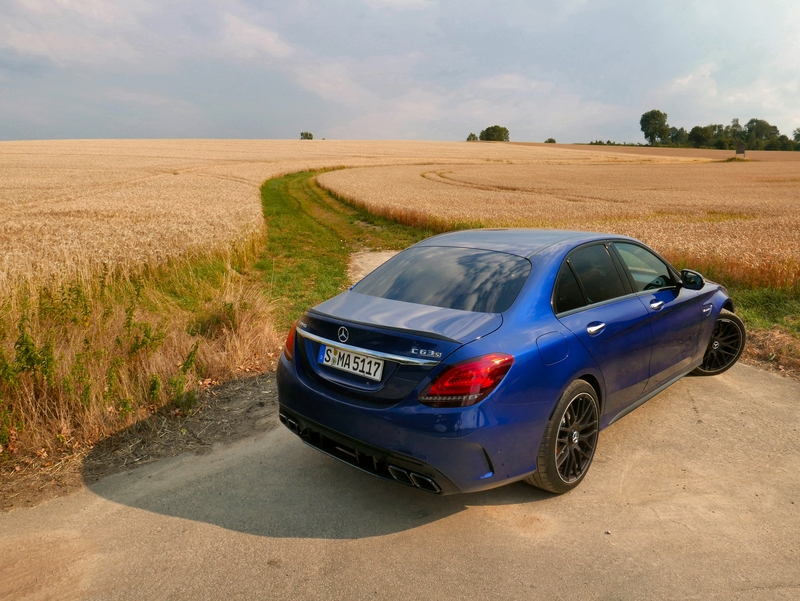 Then again, for a generation of young, moneyed professionals raised on video games and eager to get their hands on that first step into the near-supercar realm, the C63 offers excellent replay value.